If there's one thing us loc rockin' ladies love, it's a loc rockin' fella. 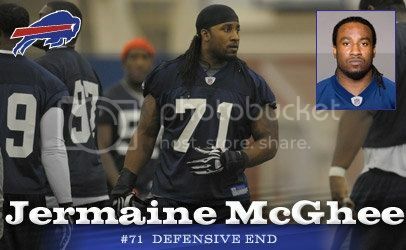 I had the honor of interviewing Jermaine McGhee. 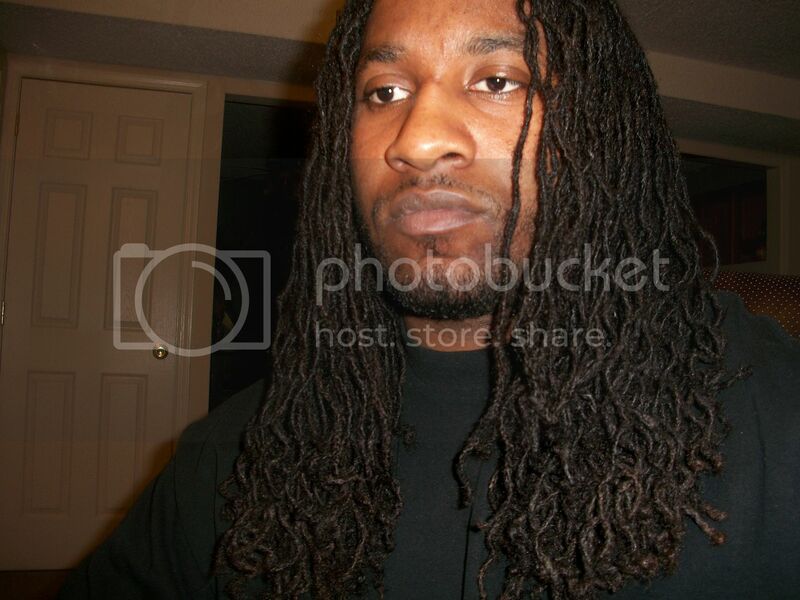 Hit the jump to learn more about him and how he maintains his beautiful locs. 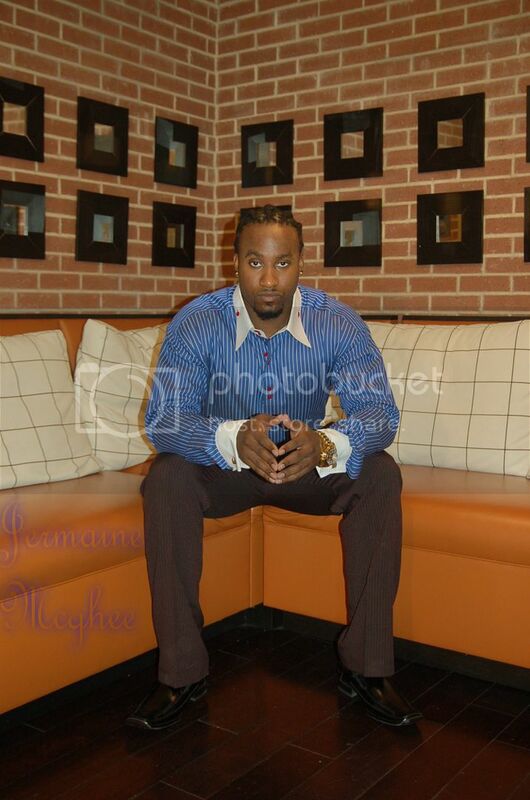 Jermaine McGhee is professional football player and aspiring model, originally from Oakland, CA. He graduated from Prairie View University, where he majored in Criminal Justice and was the 2007 MVP, two time first team All-American, Male Athlete of the year, and ranked best in the nation in defensive sacks for his sportsmanship as a college football player. He was the first player from Prairie View to head to the NFL in over 30 years. He has played for the Kansas City Chiefs in 2008, and the Buffalo Bills from 2009-2010, but following an injury and surgery has returned to football as a free agent. McGhee is an extremely positive and optimistic person and describes himself as a loving family man, husband, father, brother, and friend. He started his journey with locs seven years ago, though it took two years before his hair completely loc'd. Since then, he states, he loves his locs and he's not going to cut them anytime soon. With a dazzling personality and striking good looks, he's bound to win hearts as both a passionate football player and as a heart stopping model. 1. 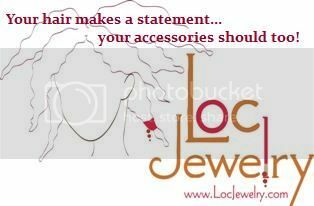 The ladies of LocRocker.com are head over in heels in love with guys with locs. Do you feel as if women noticed you more because of your locs? -Well, I'm 6'3", 258 pounds, tall, dark and handsome, hahaha. I always had long hair. I had braids then I got my locs and that opened up another door to another group of women, so yeah they notice me more with my locs. I'm their dream man to those who love a guy with locs. 2. Because you travel so much do you maintain your locs on your own or do you have a loctician? -Yes, I maintain them my self. It's easy. 3. You mentioned that you are never going to cut your locs. What do they represent to you? Just a hairstyle or something more? -My locs represent to me. It's culture. Every race can't get locs. I mean they do, but it's not the same process, and it does not have the same meaning for them to have them as it does to us as in black culture. 4. What would you say to the fellas out there that want to start loc'ing their hair but may have some reservations? 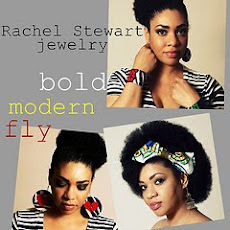 -First, your locs are gonna look different than other peoples. Then, be clean and hygienic and again be patient. Lastly, love your locs, brotha's. 5. What is a must have product for your hair? -A must have product is perfect shampoo and perfect oil or moisturizer. I'm still trying out different brands to find the perfect pair. 6. Finally, where can fans find you? -You can find me on Twitter @Thereal_JMcghee for now. Stay tuned there for more announcements on football and modeling.